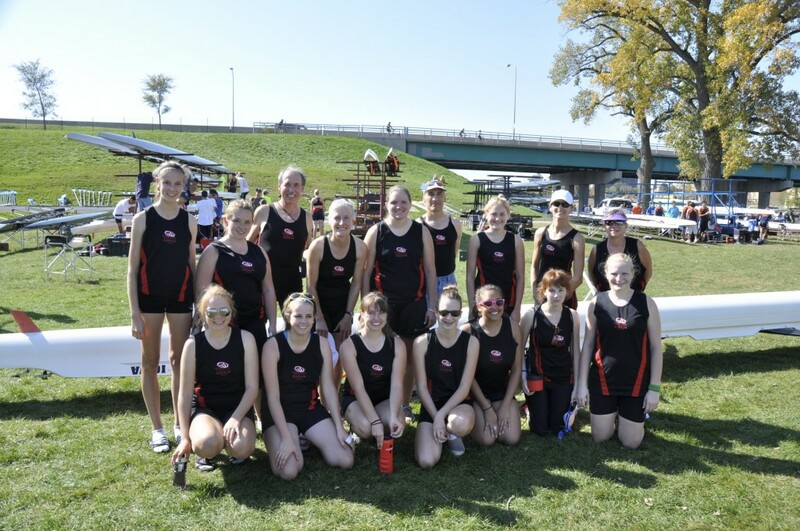 The Des Moines Rowing Club (DMRC) is a 501 (c3) non-profit organization created to promote the sport of rowing in Central Iowa. Founded in 1983, DMRC continues to offer its 200 members many opportunities to row, compete, volunteer and socialize. DMRC is governed by a volunteer board and is run by the generous donation of member time, energy, and talents. DMRC manages facilities on the Des Moines River and at Gray’s Lake and maintains a complete fleet of racing shells at both locations. Club membership ranges in age from teens (juniors) to adults (masters) in their seventies. Any level of experience is welcome! For those new to rowing, DMRC has a novice or Learn-to-Row Program open to anyone in the Des Moines community. Since 1983, the Des Moines Rowing Club has hosted the Head of the Des Moines Regatta (HotDM Regatta) on the Des Moines River. One of the oldest and biggest regattas in the Midwest, this three-mile race upstream usually attracts over 30 collegiate and club crews with over 500 competitors from all over the region. The HotDM Regatta has over 70 event entries. The club also occasionally hosts sprint scrimmages and erg races. The Rowing Club is a registered member of the United States Rowing Association (USRA). The USRA is the national governing body of rowing.